The Global Monitoring for Environment and Security & Africa (GMES & Africa) is an initiative contributing to the Earth Observation domain of the African Outer Space Flagship programme. It builds on the existing projects in the continent that have generated intellectual and infrastructural capacities in use of Earth Observation applications to enhance decision making in environmental management, through provision of evidence-based information. The expanded rationale of GMES & Africa is to continue addressing the growing needs of African countries to access and use space-derived data for sustainable development policies through deployment and integration of Earth Observation systems responding to African requirements and needs in identified thematic areas. Currently, the Regional Centre for Mapping of Resources for Development (RCMRD) has signed an agreement with AUC GMES and Africa Program as well as Partner organizations to implement a project on three service areas namely: 1. Land Degradation Monitoring and Assessment, 2. Wetlands Monitoring and Assessment and 3. Open Geographical Regional Reference Vector Database for water and agro-ecological zonings. Stakeholders’ needs assessment is one of the activities of the program. All stakeholders dealing with the three service areas will meet, share and discuss on the way forward in workshops conducted at Marasa Umubano Hotel in Kigali, Rwanda on November 26 and 27 and at Makerere University in Kampala, Uganda on November 28 and 29, 2018. The GMES & Africa Support Programme Delegation Agreement requires the African Union Commission to coordinate training activities and implement the courses that cut across various needs of all consortia. AUC developed the Training Strategy which aims at ‘’ensuring that Africa’s human and institutional capacities in accessing, processing and utilizing earth observation (EO) products and services are improved and information is communicated in the right channels to inform decision making throughout Africa.” This strategy underscores the need for continuous trainings in EO for the following reasons: EO technology is dynamic in terms of infrastructure and instrumentation. Novel sensors are continually being developed on emerging technologies; Data specifications are varying with changing instrumentations and hence the need to keep up with the dynamics; Processing software are changing or updating on a continuous basis hence there is need to update users and to satisfy the dynamic user requirements and ensure effective ingestion in the daily decision process. 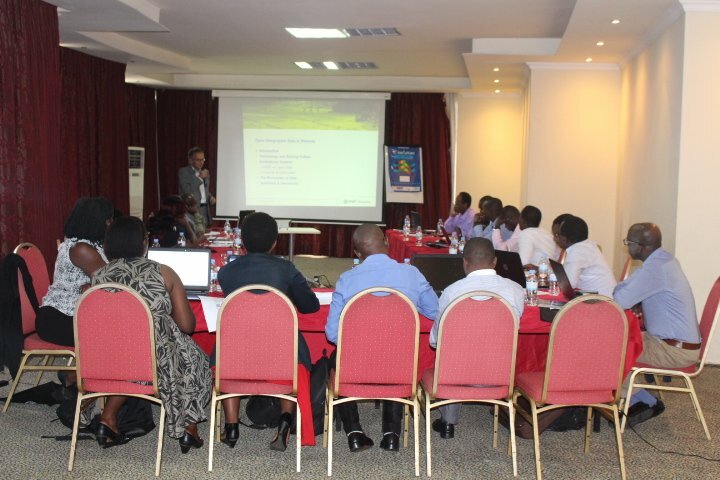 To this effect, RCMRD organized a two day needs assessment workshops for its GMES and Africa Partners and Associates. The objectives of the workshop include to: Provide a synopsis of the RCMRD led proposal for GMES and Africa; Explain the proposed methodologies and work plans ; Highlight specific roles and responsibilities of different stakeholders at the national level and Discuss and agree on the way forward. 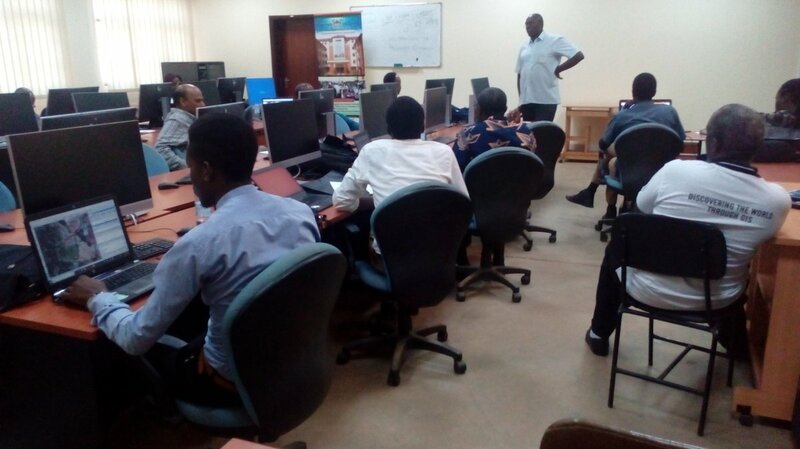 The workshop was targeted for participants from Rwanda government and non-government institutions including academia dealing with land degradation, wetland monitoring and management and geographic database. Ideally participants are those who will be actively involved during the GMES & Africa service development cycle from development to delivery. This Workshops took a classroom setting. There were presentations from RCMRD GMES and Africa Team leads on the background, objectives, methodologies and approaches of each service/thematic area. Following that, the participants discussed in groups and forwarded their observations and recommendations through presentations.